Primary and lasting benefits of vitamin C in pregnancy. Primary and lasting benefits in pregnancy. Observations made on over 300 consecutive obstetrical cases using supplemental ascorbic acid, by mouth, convinced me that failure to use this agent in sufficient amounts in pregnancy borders on malpractice. The lowest amount of ascorbic acid used was 4 grams and the highest amount 15 grams each day. (Remember the rat-no stress manufactures equivalent “C” up to 4 grams and with stress up to 15.2 grams). Requirements were roughly 4 grams first trimester, 6 grams second trimester and 10 grams third trimester. Approximately 20 percent required 15 grams, each day, during last trimester. Eighty percent of this series received a booster injection of 10 grams, intravenously, on admission to the hospital. Hemoglobin levels were much easier to maintain. Leg cramps were less than three percent and always was associated with “getting out” of Vitamin C tablets. Striae gravidarum was seldom encountered and when it was present there existed an associated problem of too much eating and too little walking. The capacity of the skin to resist the pressure of an expanding uterus will also vary in different individuals. Labor was shorter and less painful. There were no postpartum hemorrhages. The perineum was found to be remarkably elastic and episiotomy was performed electively. Healing was always by first intention and even after 15 and 20 years following the last child the firmness of the perineum is found to be similar to that of a primigravida in those who have continued their daily supplemental vitamin C. No patient required catheterization. No toxic manifestations were demonstrated in this series. There was no cardiac stress even though 22 patients of the series had rheumatic hearts. One patient in particular was carried through two pregnancies without complications. She had been warned by her previous obstetrician that a second pregnancy would terminate with a maternal death. She received no ascorbic acid with her first pregnancy. This lady has been back teaching school for the past 10 years. She still takes 10 grams of ascorbic acid daily. Infants born under massive ascorbic acid therapy were all robust. Not a single case required resuscitation. We experienced no feeding problems. The Fultz quadruplets were in this series. They took milk nourishment on the second day. These babies were started on 50 mg ascorbic acid the first day and, of course, this was increased as time went on. Our only nursery equipment was one hospital bed, an old, used single unit hot plate and an equally old 10 quart kettle. Humidity and ascorbic acid tells this story. They are the only quadruplets that have survived in southeastern United States. Another case of which I am justly proud is one in which we delivered 10 children to one couple. All are healthy and good looking. There were no miscarriages. 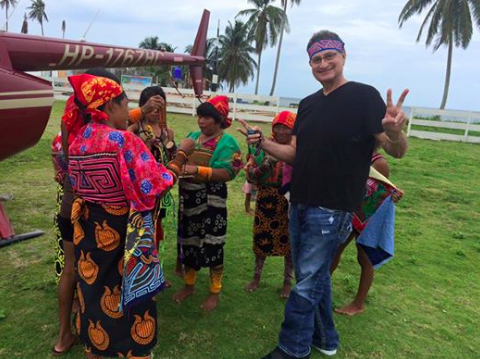 All are living and well. They are frequently referred to as the vitamin C kids, in fact all of the babies from this series were called “Vitamin C Babies” by the nursing personnel–they were distinctly different. While updating my database of human clinical trials using expanded human umbilical cord mesenchymal cells I came across a new article (April, 2016) describing a 36-month safety in subjects given intravenous cells for in a type 2 diabetes study. The study, a phase I/II, 36‑month, randomized controlled trial was conducted in patients diagnosed with T2DM according to the criteria outlined by the American Diabetes Association and performed at Qingdao University by Dr. Jianxia Hu et. al. 1 Not only were there no adverse events in the treatment group of 31 subjects but there were significant improvements in blood sugar control and decreased diabetes-related complications. Two intravenous infusions of expanded human umbilical cord mesenchymal stem cells were given four weeks apart. The dose of each infusion was based on the weight of the subjects and averaged 60 million cells. 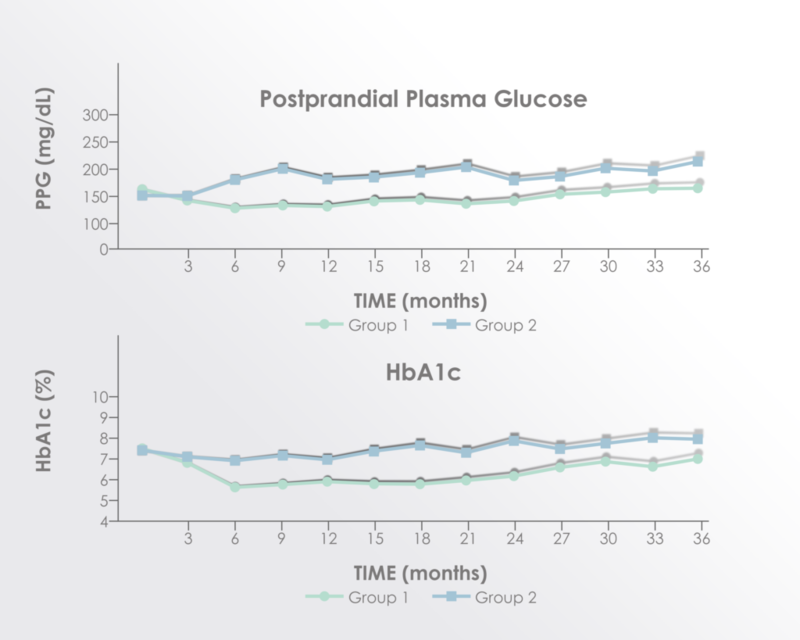 Significant improvements were seen in post-prandial glucose and hemoglobin A-1C levels but not fasting glucose. 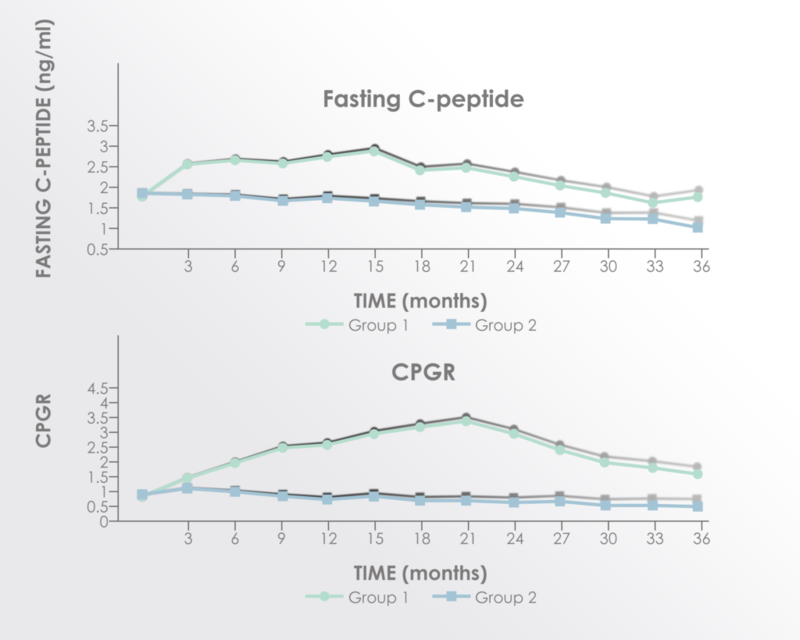 C-peptide (surrogate for endogenous insulin production) and C-peptide to glucose ratio were both significantly improved in the treatment group. Significant improvement was seen in the HOMA‑β, homeostasis model assessment of pancreatic islet β‑cell function; while there was no improvement in the HOMA‑IR, homeostasis model assessment of insulin resistance. The improvements seemed to peak between 15 and 21 months after treatment supporting a rationale for re-treatment before 15 months. Duchenne Muscular Dystrophy (DMD) is a degenerative genetic disorder that affects the muscles in the body in a progressive manner, leading to eventual death. Mesenchymal stem cells (MSC) are able to reach the affected muscle cells and to start tissue regeneration and repair, making them an attractive treatment option for DMD. This study by Pelatti et al. demonstrates the safety of MSC to treat Golden Retriever Muscular Dystrophy – an animal disorder with remarkable similarities to human dystrophy. The treatment was well-tolerated and no long-term adverse effects were reported. Transplantation of Human Adipose Mesenchymal Stem Cells in Non-Immunosuppressed GRMD Dogs is a Safe Procedure. Pelatti MV, Gomes JP, Vieira NM, Cangussu E, Landini V, Andrade T, Sartori M, Petrus L, Zatz M.
The possibility to treat Duchenne muscular dystrophy (DMD), a lethal X-linked disorder, through cell therapy with mesenchymal stromal cells (MSCs) has been widely investigated in different animal models. However, some crucial questions need to be addressed before starting human therapeutic trials, particularly regarding its use for genetic disorders. How safe is the procedure? Are there any side effects following mesenchymal stem cell transplantation? To address these questions for DMD the best model is the golden retriever muscular dystrophy dog (GRMD), which is the closest model to the human condition displaying a much longer lifespan than other models. Here we report the follow-up of 5 GRMD dogs, which were repeatedly transplanted with human adipose-derived mesenchymal stromal cells (hASC), derived from different donors. Xenogeneic cell transplantation, which was done without immunosuppression, was well tolerated in all animals with no apparent long-term adverse effect. In the present study, we show that repeated heterologous stem-cell injection is a safe procedure, which is fundamental before starting human clinical trials. Treatment with human umbilical cord mesenchymal stem cells is shown to be effective in controlling hypertension and reducing the infiltration of inflammatory cells in the placenta, in this preeclampsia rat model. Reprod Sci. 2016 Feb 17. pii: 1933719116630417. Effect of Human Umbilical Cord Mesenchymal Stem Cell Transplantation in a Rat Model of Preeclampsia. Wang LL, Yu Y, Guan HB, Qiao C.
OBJECTIVE: To test the effects of human umbilical cord mesenchymal stem cell (HU-MSC) transplantation on reversing preeclampsia (PE) symptoms in a lipopolysaccharide (LPS)-induced rat PE model. METHODS: Human umbilical cord MSCs were detected, isolated, and cultured. Human umbilical cord MSC transplantation was conducted. Expressions of inflammatory cytokines in serum and placental tissue were measured by enzyme-linked immunosorbent assay. Changes in inflammatory cytokines, peroxisome proliferator-activated receptor γ (PPARγ), laminin receptor 1 (LR1), matrix metalloproteinase (MMP) 2, and MMP-9 messenger RNA (mRNA) levels in placental tissue were recorded by quantitative real-time polymerase chain reaction. Immunohistochemistry and Western blotting were performed for PPARγ detection. RESULTS: The LPS group exhibited increased blood pressure and proteinuria and decreased fetal weight compared to the normal pregnancy (NP) group (all P < .05). The LPS + MSC group presented lowered blood pressure and higher fetal weight than the LPS group (P < .05). The levels of interferon γ, tumor necrosis factor α (TNF-α), interleukin (IL) 1β, IL-6, IL-8, IL-12, and intercellular adhesion molecule 1 (ICAM-1) increased and the levels of IL-4 and IL-10 levels decreased in the LPS group compared to the NP group (all P < .05). Tumor necrosis factor α, IL-6, IL-12, and ICAM-1 levels decreased and IL-10 level increased in the LPS + MSC group compared to the LPS group (all P < .05). The LPS-MSC group showed lower mRNA expressions of TNF-α, IL-6, MMP-2, MMP-9, and ICAM-1 and higher mRNA expressions of IL-10, PPARγ, and LR1 than the LPS group (all P < .05). CONCLUSION: In summary, HU-MSC transplantation may be extremely beneficial for PE therapy. Human umbilical cord mesenchymal stem cells (hUCMSC) were found to improve liver condition in rats after acute liver failure, slowing the degeneration of liver cells. The results were comparable whether treatment was administered intravenously or via intrahepatic injection. Int J Clin Exp Pathol. 2015 Dec 1; 8(12):15854-62. Transplantation of umbilical cord mesenchymal stem cells via different routes in rats with acute liver failure. Zheng S, Yang J, Yang J, Tang Y, Shao Q, Guo L, Liu Q. OBJECTIVE: This study aimed to compare the therapeutic efficacy of transplantation of human umbilical cord mesenchymal stem cells (hUCMSC) in different routes in acute hepatic failure (ALF) in rats. METHODS: hUCMSCs were isolated and identified by detection of surface antigens via flow cytometry. In T group and H group, ALF rats received hUCMSC transplantation through the tail vein and intrahepatic injection, respectively. In hUCMSC group, healthy rats received hUCMSCs transplantation via the tail vein. In ALF group, rats received injection of normal saline through the tail vein. RESULTS: The TBil and ALT in ALF rats with and without transplantation were significantly higher than in healthy rats (P<0.05). HE staining of the liver showed obvious hepatocyte regeneration and reduced infiltration of inflammatory cells, and liver pathology was improved in T group and H group as compared to ALF group. At 3 d after transplantation, CK18 expression was detectable in both H group and T group. At 1 w and 2 w, the mRNA expressions of CK8, CK18 and AFP in H group and T group were significantly different from those in ALF group (P<0.05). The liver function and differentiation of stem cells were comparable between H group and T group (P>0.05). CONCLUSION: hUCMSCs transplantation can improve the liver function and promote the liver repair following ALF. hUCMSCs transplantation via tail vein has similar therapeutic efficacy to that through intrahepatic injection.